A highly anticipated exhibit at the Delta Flight Museum in Atlanta – the “747 Experience” – opened its boarding doors to the public Tuesday. The exhibit features retired Delta Ship 6301, the first Boeing 747-400 to take flight, to honor the legacy of the historic aircraft. 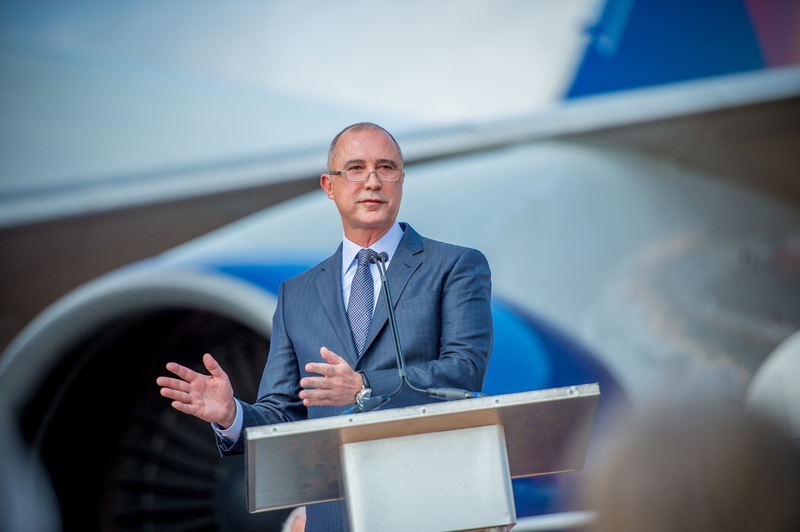 The airline marked the event with a ribbon cutting at the exhibit Tuesday morning, alongside media, local and state government officials, Boeing representatives and Delta leaders and employees. Georgia Gov. Nathan Deal and Atlanta Mayor Kasim Reed discussed Delta’s economic importance to the state and what the “747 Experience” would contribute to the community. Delta President Glen Hauenstein noted that while the exhibit marks the end of one era, it signals the beginning of a new one. Visitors to the exhibit can explore history exhibits throughout the aircraft and a patio area “wing walk,” as well as the flight deck, the Delta One section in the upper deck and much more. 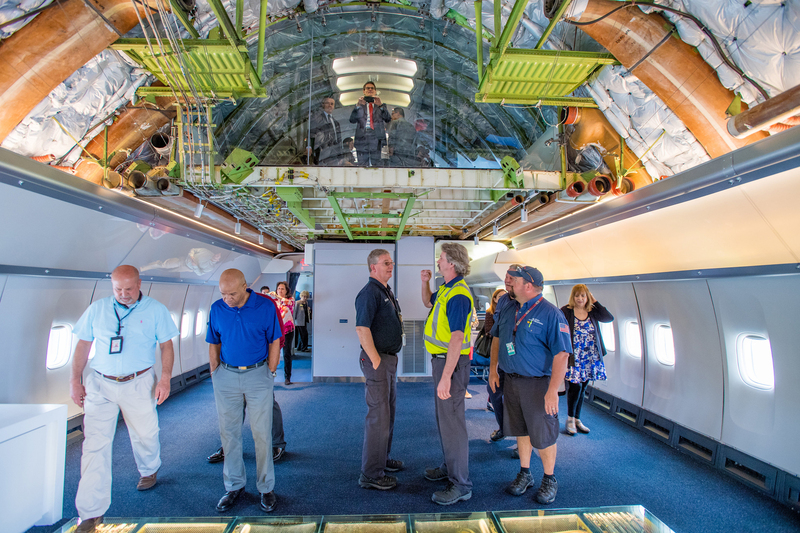 Inside, visitors will be able to tour the aircraft, which Delta teams have worked on for months to restore. Delta One and Economy, as well as the flight deck and crew rest areas, have been maintained, while the rest of the aircraft’s seats and overhead bins have been removed and transformed into an exhibit. The space is also available to rent for events such as corporate parties, dinners and movie sets. In the renovated area, the exhibit gives visitors a unique look behind the scenes. An exposed ceiling and glass floor reveal the insulation, wires, air conditioning ducts and more that are essential for the operation of a commercial airliner. The walls are lined with historic achievements in aviation, specific 747 graphics and statistics and a video screen capable of projecting various multimedia displays. Known as the “Queen of the Skies,” the 747 is one of the most popular and recognizable aircraft in the world. The widebody jet is best known for its distinctive “hump” upper deck in the front of the aircraft. As Delta continues to modernize its fleet, the airline plans to retire its remaining 747s this year, replacing them with more fuel-efficient aircraft. However, the exhibit, a multimillion dollar investment by the museum, The Delta Air Lines Foundation, Delta and its employees, gives the public a chance to experience the beloved aircraft for years to come. The Airloom Project, an employee-driven, grassroots effort, has raised more than $600,000 for the project and will continue fundraising through December. Ship 6301 logged more than 61 million miles, enough to make 250 trips from the Earth to the moon, between its first flight with Northwest Airlines December 1989 and its last with Delta in September 2015. The aircraft also experienced the heroism of Detroit-based Northwest (now Delta) pilots who safely landed the plane after it experienced a serious technical problem while in flight between Detroit and Tokyo in 2002. Capt. Frank Geib, who attended Tuesday’s event, credited the aircraft’s manufacturer for its safe landing. The Delta TechOps team worked “countless hours” to make the exhibit possible, Boatright said. After its retirement, Delta Airport Customer Service and TechOps moved the aircraft to its permanent home in the Delta Flight Museum parking lot at Delta’s Atlanta General Offices in spring 2016. “It’s taken several departments to carry out and has been a true team effort, from rolling it across the street to stripping the interior to renovating the inside,” said Chris Blackmon, TechOps – Aviation Maintenance Technician. 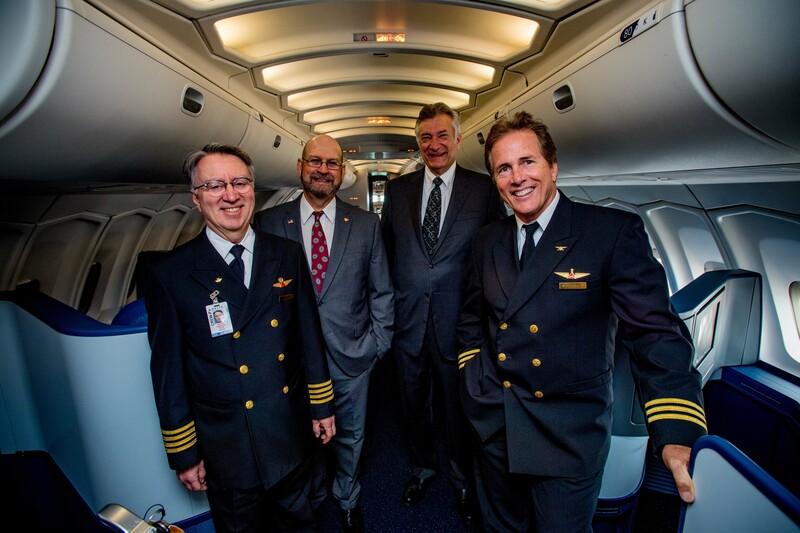 Visitors can purchase tickets at the door Tuesday and Wednesday to tour the 747 Experience and the museum for $7.47. Starting Thursday, general admission is $15 for adults, $12.50 for seniors (65 years or older), $10 for children under 18 and free for children under 5. Admission is free for Delta employees and their pass riders. The exhibit is open noon – 4 p.m. on Thursday – Tuesday. Tickets can be purchased at tickets.deltamuseum.org. 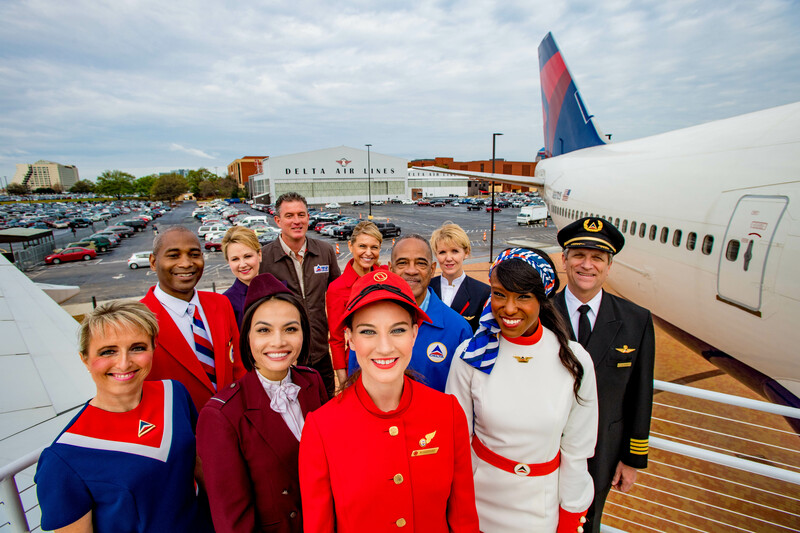 Since 1995, the Delta Flight Museum has allowed visitors from around the world explore aviation history, celebrate the story and people of Delta and discover the future of flight. The Museum was renovated in 2014 into a world-class attraction that offers engaging exhibits and interactive programming for aviation enthusiasts of all ages.